New week, new cake! Well, a classic cake! Here’s my recipe for the Classic Vanilla Cake! Everyone needs the classic vanilla cake in their recipe tool box right? Here’s yours! I adapted my recipe for chocolate cake and created a vanilla one. The original recipe makes a smaller cake but I decided to double the ingredients to make a bigger size cake because, cake needs to be big! When I was adding all the ingredients into the bowl, I stopped at the cater sugar. Since I was doubling my chocolate cake recipe (omitting the cocoa obviously) that recipe used coconut sugar but we don’t want a brown vanilla cake do we? Well at least I don’t! So it would have ended up being 2 cups of caster sugar and I just couldn’t bring myself to add that much sugar into the cake. I mean, yes there is still white refined caster sugar in here but cake is a treat but I wanted also to keep it traditional. So caster sugar it was! 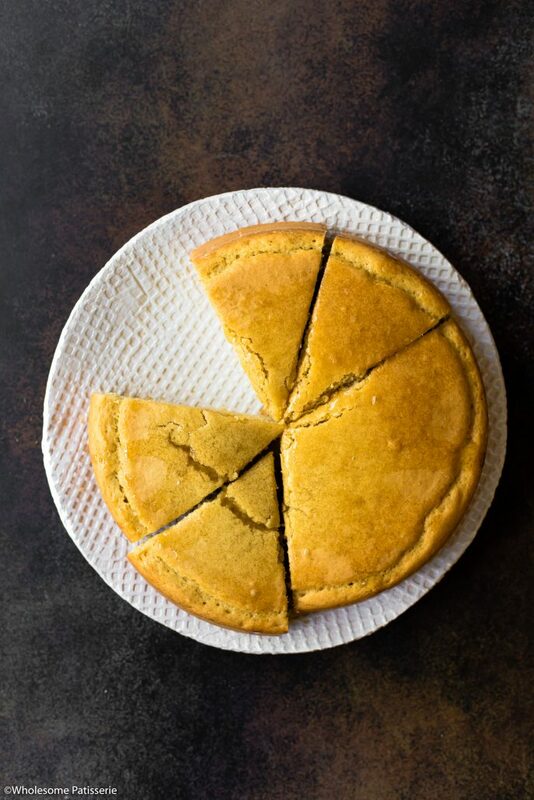 Also, caster sugar doesn’t alter the colour and let’s be honest, sugar, eggs, flour and butter are all traditional baking ingredients and this cake is a ‘classic’. I reduced the sugar to 1 cup instead of 2 cups, I hope that makes you happy also! 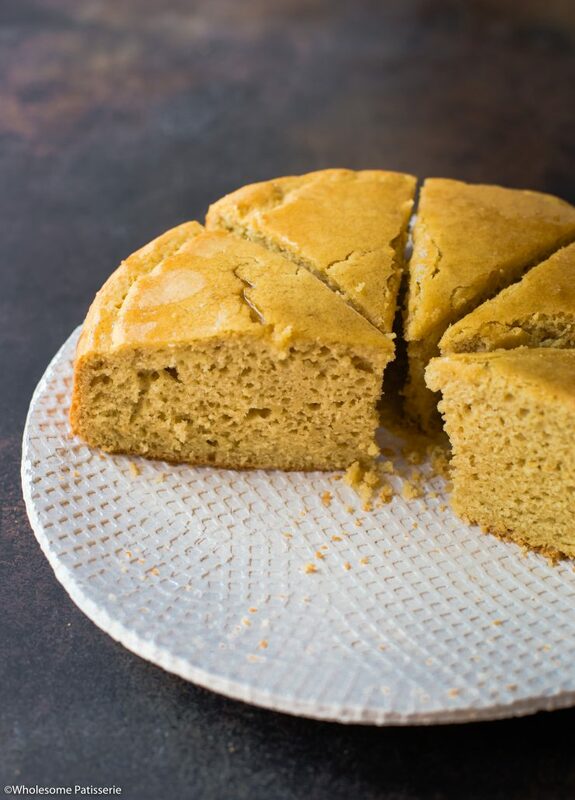 This vanilla cake is perfect for all occasions, especially for your weekly snack. It’s super simple to make and I bet you already have the majority of these ingredients in your home! The vanilla cake is drizzled with a homemade lemon syrup, just to add a touch of “icing” but not to take away for the beautiful vanilla cake. You can decided weather you would like to include the syrup or you can whip up your favourite cake frosting or leave it plain. I hope you enjoy my recipe for a Classic Vanilla Cake, here’s to traditional baked goods! Preheat oven to 180ºC (356ºC). Line a 9” large springform cake pan. In a large mixing bowl, combine flour, baking powder and sugar, mix well. Pour in milk, eggs, vanilla and the melted butter. Using a hand mixer, or a stand mixer fitted with the paddle attachment, beat the mixture for 2 minutes on medium speed. Scraping down the sides when needed. Pour into lined cake tin and smooth out the top with a spatula. Bake 35-45 minutes or until a skewer inserted into the middle comes out clean. The cake should be set and spring back when gently pressed. Remove and cool in pan for 10 minutes. Remove cake from pan and transfer to a wire rack to cool completely. Let cake cool completely on wire rack. In a small pot, combine sugar, water and lemon juice over a medium heat. Mix well. Bring mixture to a simmer and continue to stir until sugar has completely dissolved. Simmer for 5-10 minutes or until thickened slightly. Remove from heat. 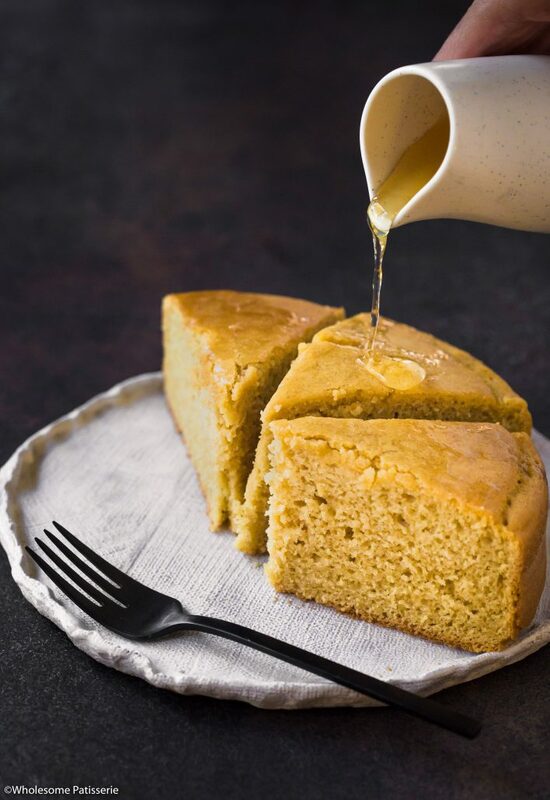 Drizzle lemon syrup over warm or cooled cake. Store in an airtight container, in the pantry or refrigerated, for 3-4 days.